talking about the power of the word on the page, though. I'm talking about the words we say about our writing lives and the impact our word choices have on our productivity, our outlook, and our work ethics. Behavioral scientists have established the effects, both long-term and short-term, of the words we say and hear. Certain words elicit powerful, immediate responses on a subconscious level. Others, over the long term, actually do impact our cognitive processes, resulting in changes in mood, attitude, and behavior (for better or worse). That's why things like positive affirmations (which I scoffed at the first time I sought counseling for depression) actually work. Feeling better about yourself and your writing will absolutely help you along in your career, and speaking positively about both is a great habit, but that's not what I want to focus on. This website and companion podcast are primarily aimed at writers who want to make a living at writing, and the full-time writer doesn't have the luxury of only writing when (s)he feels [insert appropriate word or phrase here]. Full-time writers know that we have the same skills in our toolboxes no matter our mental state on a given day, and we know that we have to work or we don't get paid. So, let's talk terms. Years ago, a counselor encouraged me to be careful about saying "I haven't..." or "I never did..." or "I wish I had..." when talking about things I wanted to do. (Writing, for example.) Instead, he encouraged me to say "I have not yet..." The former phrases have an "over and done with" connotation, while the latter conveys a sense of intention, even expectation. 2- "I have not yet written today." This phrase recognizes that the day isn't over, there's still time on the clock, and I am in control of my choices. It might be almost bedtime, but there is nothing stopping me from opening up Word (or Scrivener, or whatever) and embarking on a "damn the torpedoes" ten-minute writing sprint. This also goes for your particular spot on your writing/publishing journey. Suppose you meet another author at a conference, and (s)he asks you if you're published. Do you, with downcast eyes, say, "I'm not published," or do you smile and say "I'm not yet published?" One is the language of failure, the other is the language of optimist, intention, and commitment. I've never finished a manuscript/I haven't yet finished a manuscript. I don't have an agent/I don't yet have an agent. I haven't hit the bestseller list/I have not yet hit the bestseller list. I'm not a full-time writer/I'm not yet a full-time writer. This one might raise some eyebrows because, at first glance, it seems contrary to the talk about positive thinking. On a superficial level, that might be true, but on a deeper level, it's the language of empowerment. Some of you might have read a recent article titled “I Published My Debut Novel to Critical Acclaim—and Then I Promptly Went Broke." Subtitle "On the Dark Side of Literary Fame." The short version is, the author's debut novel, like many, many novels, received some positive reviews, won/was nominated for a couple of awards, but didn't earn out. After that, she stopped writing. The phrase that leaped out at me was: "I haven't been able to write since the moment I started thinking I could or should be making money as a writer"
These are all lies we tell ourselves, and the more we repeat them, the more we train our minds to believe they're true. They're easy lies, because they remove the responsibility from our own shoulders and place it elsewhere. -I chose not to write today because I had the house to myself, so I chose to do a Harry Potter movie marathon instead. -I was excited about the new video game I bought and I chose not to do a little writing before playing the game. -I've been pantsing my book, wrote myself into a corner, and chose not to continue. -I had a ridiculously busy day today and was exhausted, so I chose to use the little time I had at the end of the day to unwind instead of writing. -I'm feeling depressed, anxious, insecure, or discouraged so I chose not to write. -I have chosen to believe there's a magical fairy called a "muse" who flips the switch inside my head that turns on the language/cognition centers of my brain and makes my fingers move along a keyboard. I've also chosen to believe that there are switches in my brain. -I have chosen not to write because right now I need to give priority to other aspects of my life. -I have chosen not to write because, deep down, I fear failure. -I have chosen not to write because coyotes gnawed my fingers off and I have chosen not to purchase Dragon Naturally Speaking. 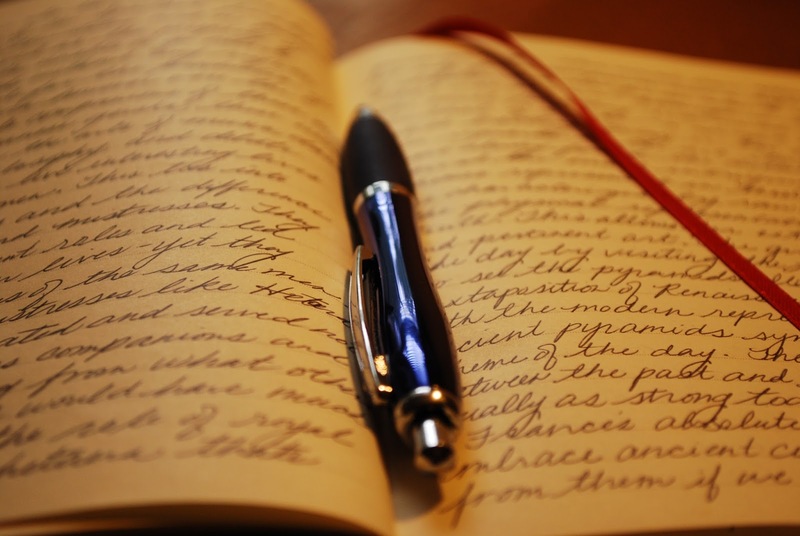 -give us a real picture of our impediments to writing. -remind us that we are in charge of our choices. -tell us that we CAN do it. Scratching beneath the surface, looking beyond our superficial excuses, might hurt at first, but I've found that it's healthy in the long run. Over time, using language that is honest about the choices I make, choices which impact the things I have not yet done, reminds me that I'm not a victim of forces beyond my control. I can do this. I will do this. And when I accomplish something, even if it's just a brief writing session, it's time to celebrate. Too many times, we say, "I only wrote___ words today" or "I planned on writing every day this week but I only got on one session" or "I've only written short stories" or "I've only published one book" or "I've only sold_____ copies." Screw that line of thinking. What we do adds up. Maybe I "only" wrote for ten minutes and got 200 words. Do that every day for a year, and suddenly I'm closing in on the end of that novel I've "not yet written." And how did I get there, because I made choices. Every day I recognized that writing is a hard, awesome job, and most days I chose to at least put a few words on the page. I chose to get in a short writing sprint on days my time was limited. I chose to make the new video game a reward for a productive writing session instead of an impediment. I chose to take the time to learn story structure and really think through my book so I didn't write myself into a corner. I chose to believe that I could make quality words despite how I was feeling on a given day. And on the days I fell short, I chose to recognize why it happened, forgive myself, and then keep moving toward accomplishing that which I have not yet done. This isn't easy, and it won't happen overnight, but a long-term commitment to the language of optimist, of possibility, and personal responsibility can help carry the working writer past the obstacles that will inevitably stand in our way. Good luck!